Initial fees for consultations, work-up examinations, and minor procedures are payable at the time of service. More advanced treatment does require payment of one-half your estimated portion upon initiation of treatment, with the remaining balance being due at the appointment prior to the delivery of the work. We do prepare insurance claims and file for our patients as a courtesy, though we do at times require the patient to file their own claim and get reimbursed directly from the insurance company. This is dependent upon the insurance company and the procedure being performed. not listed as a preferred provider with any carriers. With regard to our Cancer and Congenital Defect patients, we handle that on a case-by-case basis. For many patients we can obtain a special authorization, or network-exception referral, since there are no other Maxillofacial Prosthodontists in this area. 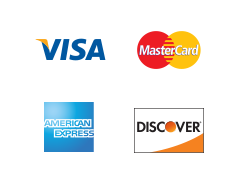 For our patients’ convenience, we accept all major credit cards. Care Credit is another option for our patients seeking monthly payments, and also offers many interest-deferred programs. Please contact us directly for more information regarding Care Credit.